I feel like telling you about Maya. Whenever I see her I feel uplifted and inspired. 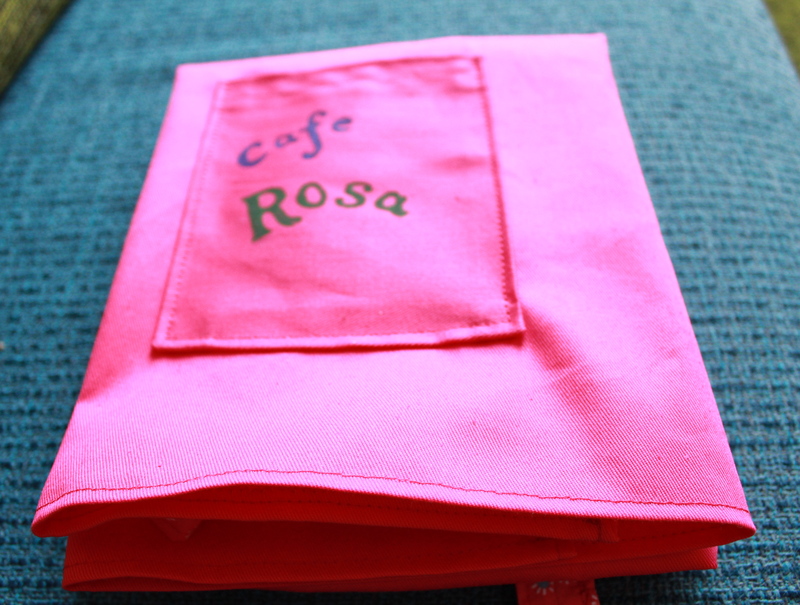 Maya owns Café Rosa in Torvehallerne market place in Copenhagen. She is japanese and was studying in Japan to be a baker. 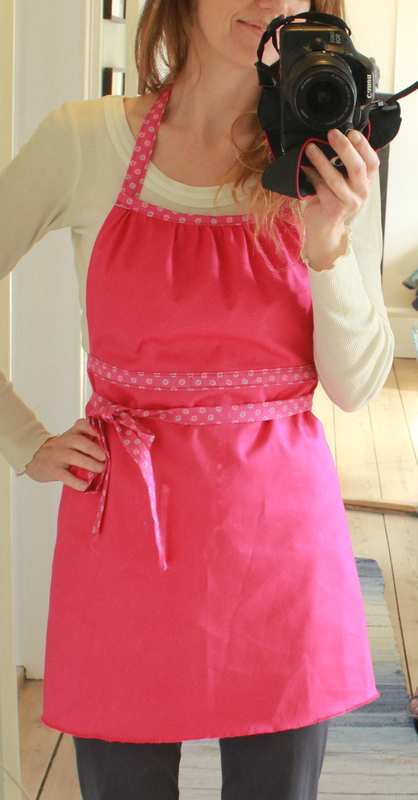 Then she decided to come to Denmark to learn how to make our famous rye bread. Fortunately she´s decided to stay and is to be found baking every day of the week but monday in her lovely café. I found her because I love cake and when I passed her stall in torvehallerne I knew I´d come across something special. 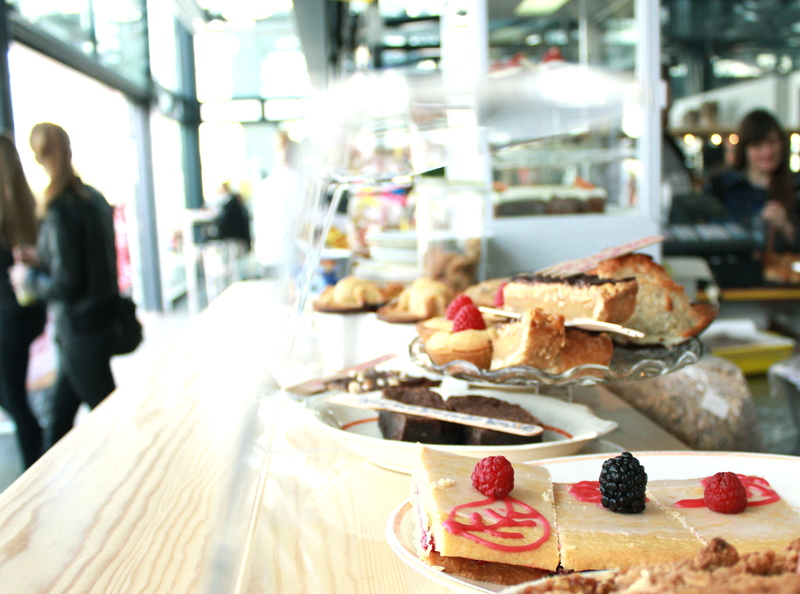 Along the wooden counter is a row of bar stools in various colours and on the counter you find an alluring display of cakes. And behind the counter is Maya. A japanese version of Pippi Longstocking (whom she loves). And she bakes non-stop. Undoubtedly, in my opinion, the best cakes in Copenhagen. 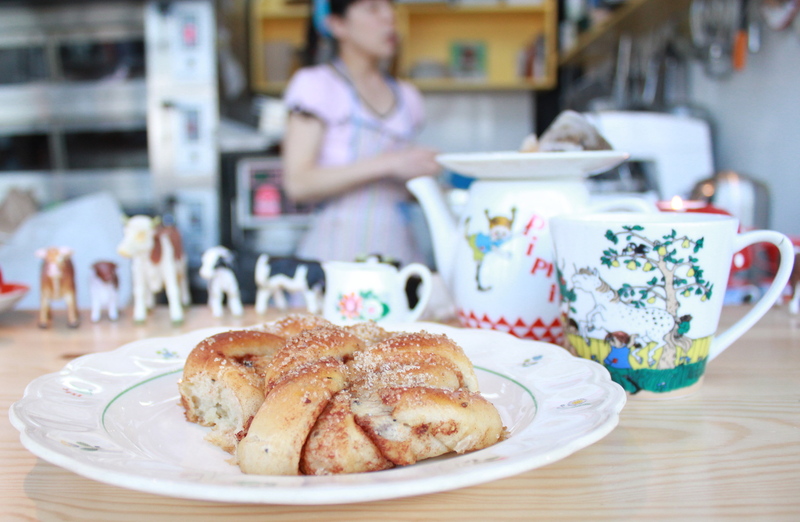 She´s not the social type who chats effortlessly with her customers but for some reason, from day one, she is always happy to talk to me, when I stop by for coffee and a warm cinnamon bun (my favourite). We talk about life, politics, love and work and all the while she just keeps baking and decorating one cake after the other. 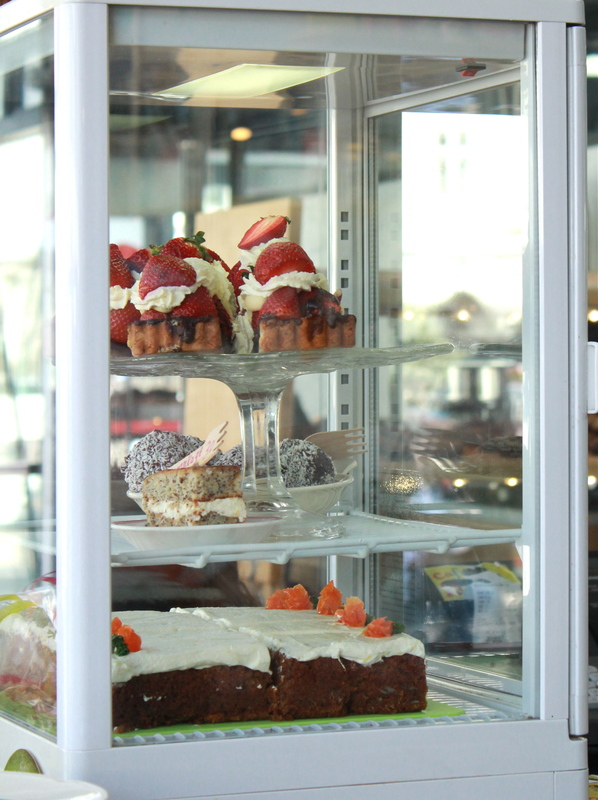 Everything about Maya and her café and her cakes is colourful and uplifting. And just the fact that she´s had the courage to not only move so far away from home but also open her own place is a huge inspiration to me. And so when her birthday was up a few weeks ago I decided to make something for her. As a thank you. 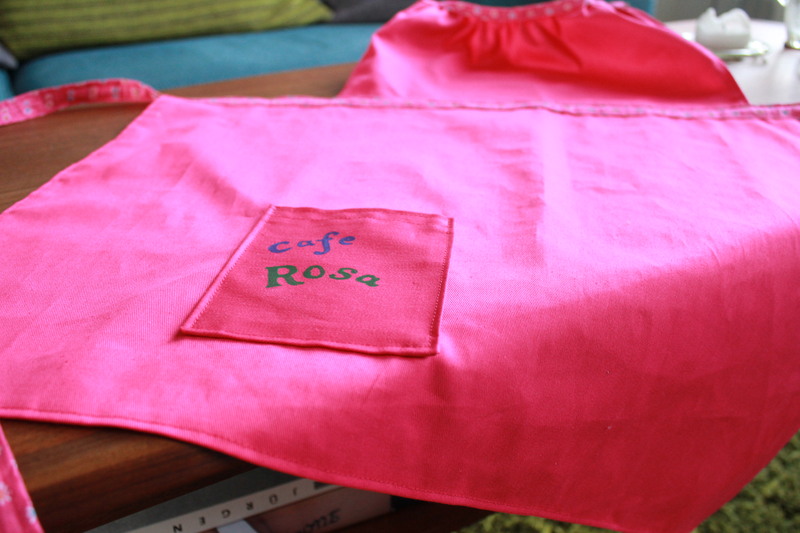 And since I have this huge love for aprons I decided to design one especially for her. And this is what I ended up with. Happy birthday Maya … and thank you! You are currently reading Thank you Maya at Thinking out Loud.